Need a wedding flower game plan? If you want to DIY your flowers but you’re not sure exactly what it entails. Have no fear, we created this blog post just for you and your floral needs. We are going to break down the whole ordering and arranging process step by step so stay tuned! 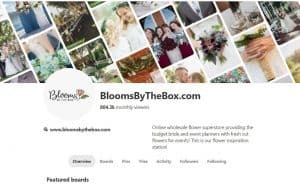 First things first, you’ll want to start browsing the web, Pinterest, and our Blooms Blog to get some inspiration. 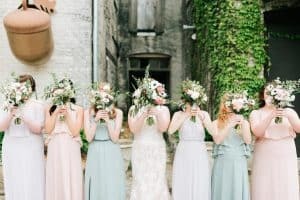 Our blog has a wonderful variety of color palettes and styles from our real brides which will help you envision what your dream bouquets, boutonnieres, and centerpieces might look like. Gather some photos of color palettes you love and any specific flowers you know you want to include. It is also helpful to come up with a budget for flowers if you haven’t already done so. The best time to start is about 3 months out which gives you plenty of time to research, plan, and purchase your flowers. Next, you’ll want to figure out exactly what you’ll be doing yourself. Some choose to do everything while others delegate certain tasks to a florist and decide to do only part of it themselves. It is helpful to make a list of exactly what you’ll need. For example; 1 bridal bouquet, 5 bridesmaid bouquets, 6 boutonnieres, 10 medium size centerpieces, etc. 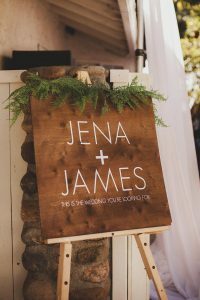 You’ll also want to include any extra décor, like 2 small arrangements for the bar, 2 corsages for mother of the bride/groom, and greenery to decorate an arbor or welcome sign. Once you have a list of everything you need florals for, send us an email at service@bloomsbythebox.com. Be sure to include all inspiration photos, your running list of floral needs, and your budget. One of our wedding experts will help you identify all of the flowers, greens, and supplies you need, and recommend quantities that will fit your vision and your budget! Once you and one of our blooms experts finalize your florals and supplies needs, you’ll want to place your order. You can do this as far as 60 days out, however, we typically recommend placing it about 2-3 weeks before the wedding. That gives you the most reliable, current “in season” availability. Your blooms expert will recommend choosing a delivery date that is 2 days prior to your wedding. 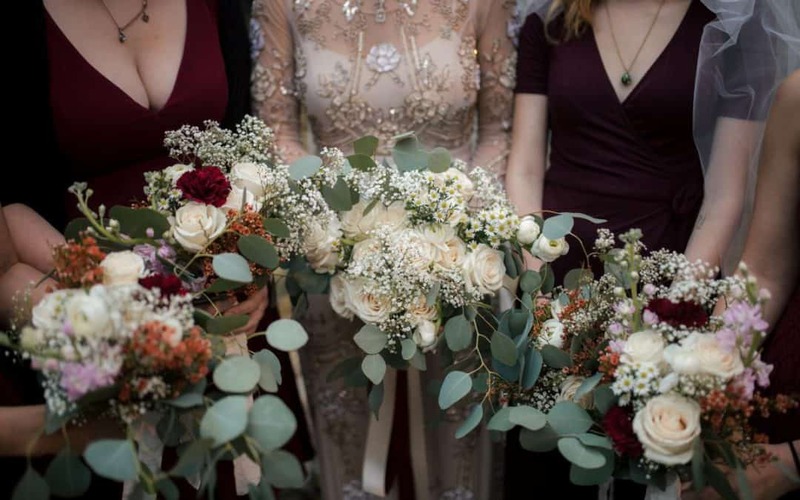 For example, if your wedding is on a Saturday, we recommend having your flowers delivered to you on Thursday, rehydrating overnight, and arranging Friday afternoon. Now it’s time to gather your DIY team! We recommend arranging the day before the wedding, so make sure everyone who is planning to help is available! During this time between placing and receiving your order, we recommend browsing through our tutorials if you are a beginner to get an idea of what it will take DIY. The day before you receive the flowers, we will send you tracking information. Your flowers will be shipped via FedEx, and it is helpful to sign up for FedEx notifications if you haven’t already. These notifications can give you a better idea of exactly when you can expect your package. The next step will be to receive your flowers, YAY! We ship all of our fresh cut flowers via next day air so they will arrive to you a little sleepy but have no fear, they will perk up! 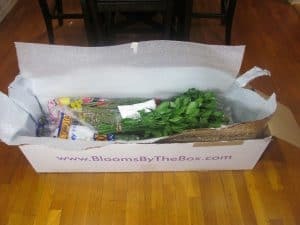 Once you get your package, you’ll want to open up the box immediately and get all the flowers into water. Give each stem a fresh cut, its best to use floral scissors or a floral knife to do this, however, any sharp, clean scissors will do! You will also want to remove any foliage on the stem with the exception of about 2 inches from the bloom itself. Then, place the freshly cut flowers into buckets of water. The flowers will require room temperature water so if you’re trying to be super prepared, the morning you are set to receive your flowers, you can fill up some buckets and get them ready. Click here for a more in-depth look at how to care for your fresh cut flowers. Then we wait. It is best to leave the flowers in a room that doesn’t get too cold or too hot. Also, placing them in direct sunlight can cause them to open prematurely or wilt. DO NOT REFRIGERATE YOUR FLOWERS! The next step will be the day before your wedding, this is your arranging day! Start by making the first of multiple bouquets or centerpieces, and let your crew use it to create similar arrangements. Remember they don’t need to be exactly the same, but only have to carry the same feeling. It’s important to count your different flowers and be sure you use quantities that you can distribute evenly across the number of arrangements you need to make. Leave yourself enough time. With a little practice, it will take about 20 minutes to create an arrangement, and that will get even quicker if you’re making many of the same, like centerpieces. Boutonnieres can take just 10 minutes or less. Storing arrangements such as centerpieces is easy. Again, you’ll want to keep them somewhere not too hot or too cold and out of direct sunlight. Bouquets can be kept in a jar or vase with just a few inches of water – put any fabric wraps on the day of the event. You should NOT refrigerate arrangements or bouquets. Boutonnieres and corsages are the only exception to arranging the day before and should be done the day of if at all possible. Because arranging boutonnieres and corsages requires you to cut the stem short and wrap them with tape it can be difficult to keep them in water and therefore keep them alive and looking fresh. 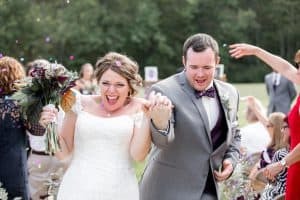 It can be done early on the wedding day if you are planning on doing them yourself but it is best to find someone who you can pass that task too. Boutonnieres are a breeze! WEDDING DAY! Depending on what you are DIYing, you’ll want to delegate the dropping off of centerpieces to your venue with someone else, this can also be done the day before if your venue allows! If you are planning to decorate an arbor, your chair, a welcome sign, or anything that might take time, again you’ll want to delegate or do it yourself day-of as your schedule allows. The last step is to give yourself three cheers because you’ve done it! Enjoy all your hard work and don’t forget what your big day is all about! So, there you have it, start to finish! 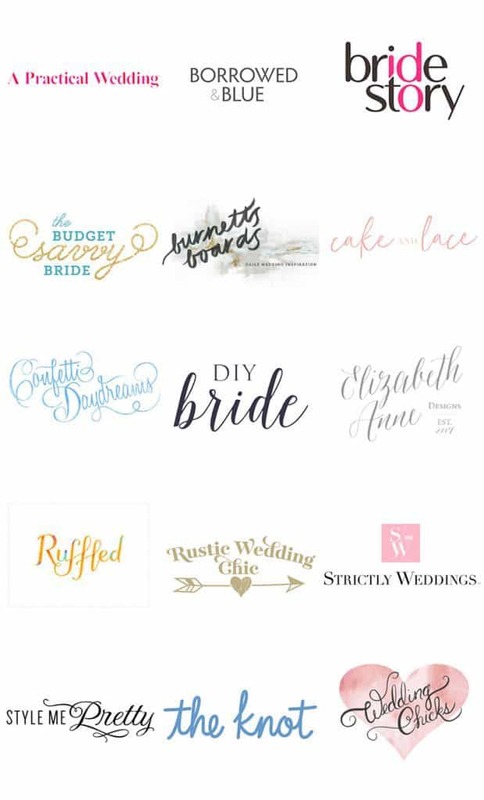 We are constantly updating the blog with more real weddings, tutorials and great inspiration so be sure to check back frequently! The blooms blog is a great resource for inspiration and tips. Our wedding flower experts are always available via chat, email and, phone for any questions or concerns and we are always happy to help! Try not to stress too much about the little things and good luck!